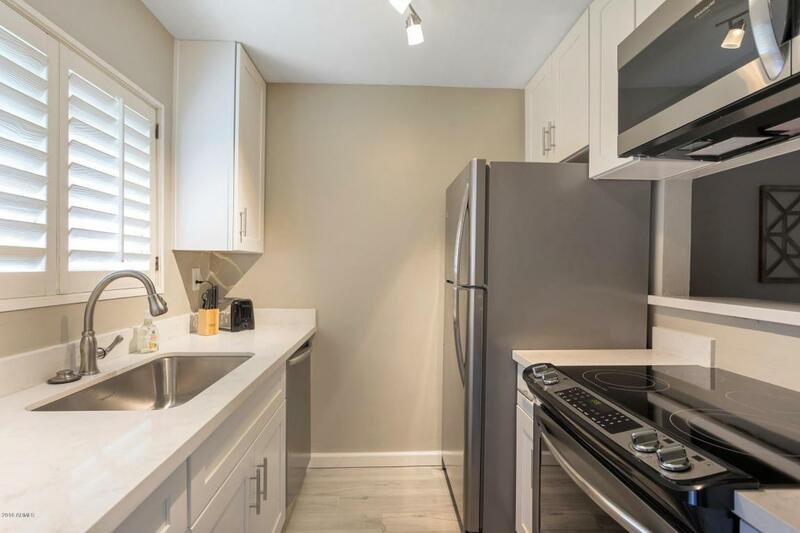 Beautifully remodeled condo in the epicenter of Old Town Scottsdale at the desirable Camelback House. 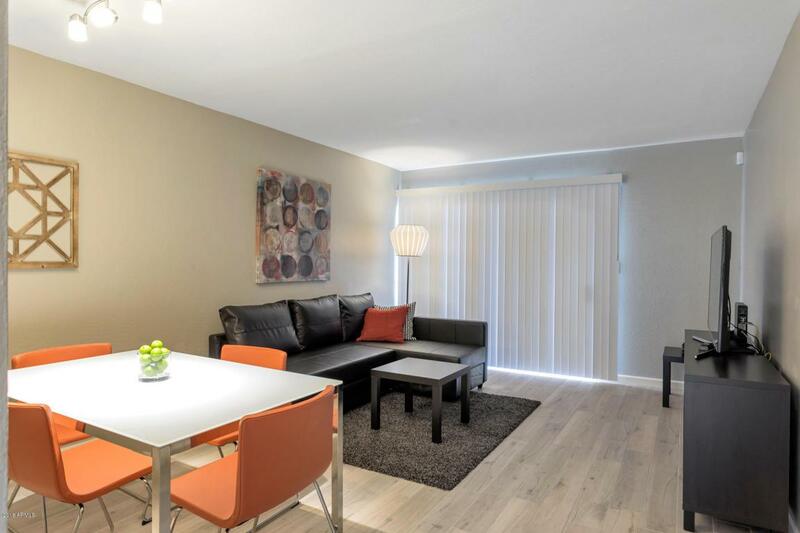 All furnishings and electronics are included making this condo ideal for a turn-key 2nd home or a vacation rental. The only thing that may top this location are the upgrades! 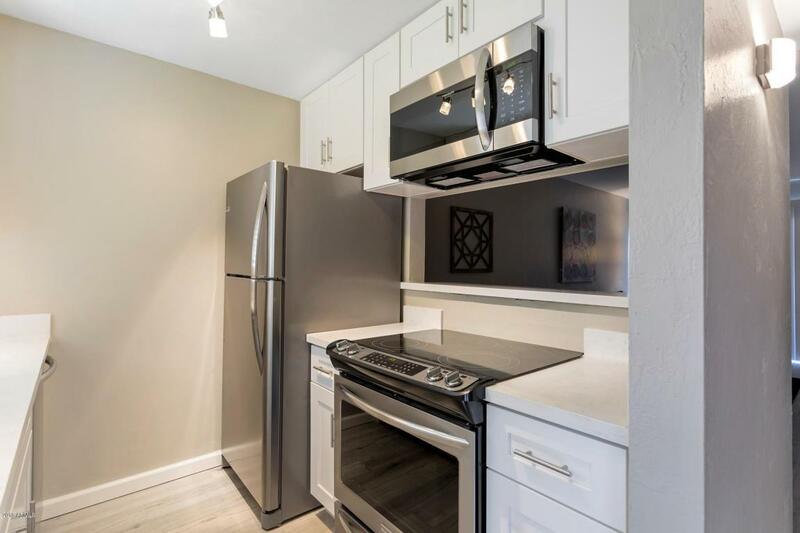 New cabinets, stainless steel kitchen appliances, wood look tile flooring, int paint, lighting, countertops, faucets and much more! Phenomenal location on the first floor with no steps & next to the pool area. 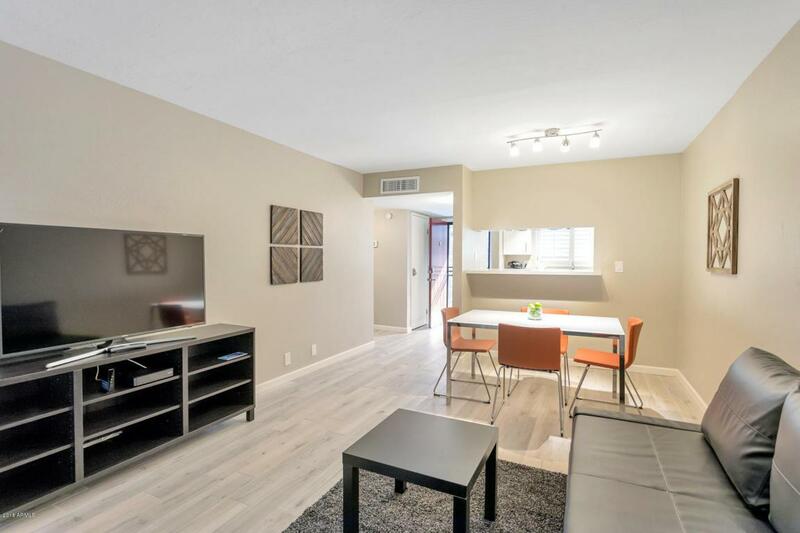 This great modern condo is positioned to offer you a one-of-a-kind experience just minutes from Scottsdale Fashion Square & blocks from Old Town Scottsdale! Whether you're one for the outdoors or someone who prefers concerts, shows, and shopping, this is the place for you.